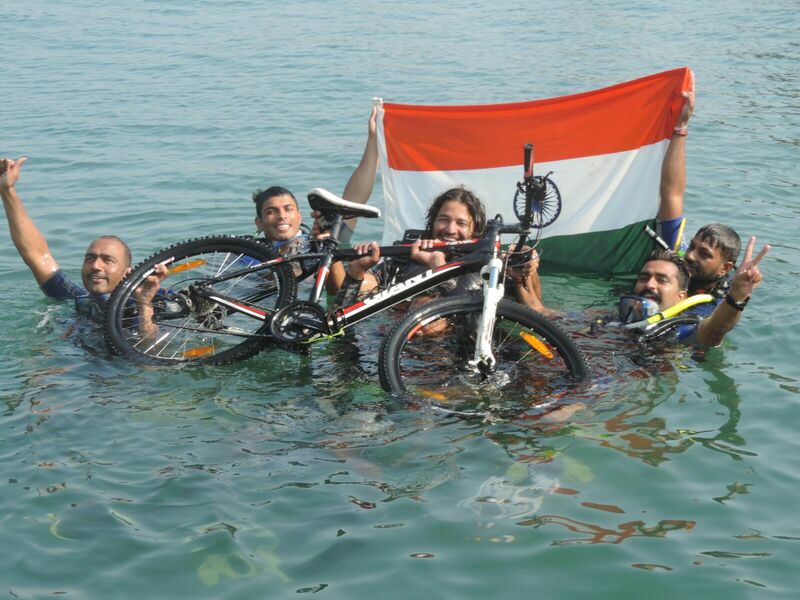 Narinder Singh (born on June 10, 1979) of Kurukshetra, Haryana, India, along with 7 team members, performed under 5ft water relay cycling and covered most distance (400m) for 50m each, at Grande Island, Goa, on January 6, 2016. Event is organized by 19 Degree North Ambey Valley City and Swasth Bharat Trust. Comments for UNDER WATER RELAY CYCLING are now closed.